The term is generally taken to mean the collective framework of structures, installations or equipment that is necessary to support the main activity of the sector. Taking as an example the rail sector, the term infrastructure will include the track, the power supply, the signalling, the bridges and structures, the stations and buildings and so on. In short, everything that makes a railway. 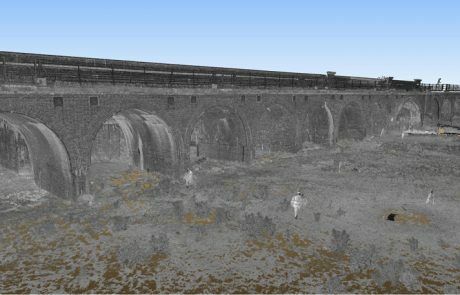 We survey it all and use 3d scanning extensively. 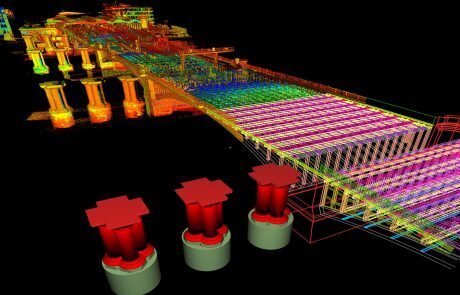 In this sector, a scanned dataset captures everything from overhead down to ground level and with such detail that we can even identify which type of clips are used to secure the rails. Spatially critical detail in the rail sector includes rails and platform edges that might have gauging issues, so we will survey conventionally using a 1” total station to ensure an accuracy of better than 5mm. Other details can be extracted from the scan data to a level of content detail appropriate for its purpose. There are four levels of detail that we use for the data extraction. 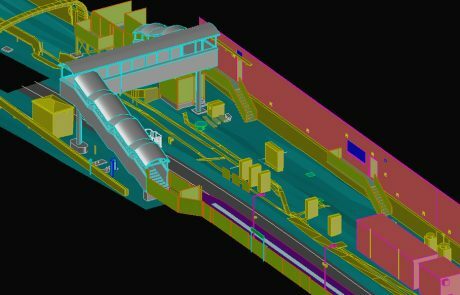 CAD deliverables range from a 3d wire framework model to a surfaced or textured model or even a solid model. Overhead Line Equipment (OLE) can be fully modelled, if required, right down to the small part steelwork. 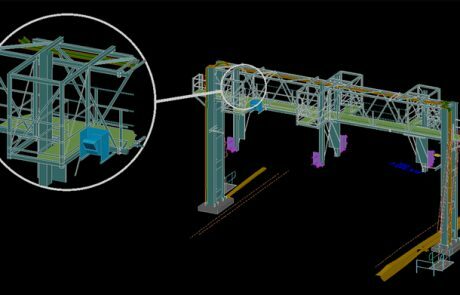 Bridge structures and gantries are often fully modelled to assist with the design of additional equipment and to assess loading potential. Deliverables will often include dimensions extracted in the form of schedules, for instance, Height and Stagger files or SCO files for gauging purposes. Another example would be a schedule of assets for the basis of an asset database. Often this will include asset number, asset type, location and possibly a condition photograph or hyperlink to one.